It's not easy nowadays to be where you want to be financially. 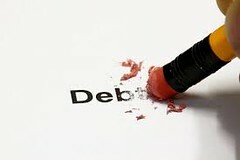 It seems there are always debts to pay, making it feel impossible to achieve your goals. However, there are several simple things that can be done to improve your situation considerably. If you're willing to invest a little of your time to follow the tips mentioned below, you'll soon find you'll have more money than before. With the same cash inflow. It’s a proven fact that when you have easily accessible cash in your pocket or in the bank, you tend to spend more on unnecessary things. So it's high time you start putting some money in an account that you can access in case of emergency, but which would require you to jump through hoops to withdraw any. This will help you spend money only when absolutely necessary. 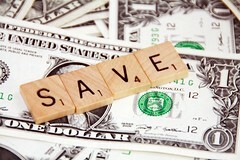 Almost all businesses use coupons as a part of their marketing strategy. So, why not check for a coupon in the newspapers or on the Internet before you make your next purchase? Be it groceries, transportation, apparel, furniture or services like doctor’s appointment and electronics repair, coupons are available for anything nowadays. Just take a look at Discountrue.com and all the deals for such popular stores as Nordstrom or Target. If you are lucky enough, you might just hit the right coupon at the right time. Combine a coupon with a sale price, and you're really saving money! Start doing some simple things yourself, instead of paying others to do it. You can bake your own bread (here's one of my favorite recipes), grow some of your own food in a backyard garden, eat meals at home, and brew your own coffee instead of paying for that fancy coffee place. You can even make your own DIY beauty products! The possibilities are endless, as anyone who has ever visited Pinterest can tell you, and you'll be surprised how fast the savings add up. If you happen to shop fairly regularly at any one particular store, don't forget to sign up for their loyalty rewards program. They keep on giving back in the form of credits and promo codes, which help you in cutting down the costs on your future purchases. Whenever there's an opportunity you need to take advantage of it. There are many other little things that you can do to improve your financial condition, like replacing light bulbs with CFLs or LEDs or adjusting your thermostat by a few degrees to save on energy costs, reviewing your insurance policies, using the library more often instead of buying new books, having your devices serviced on time, and the list goes on. Whenever you spend, ask yourself if there’s an alternative which costs you less and provides the same benefits. And then save that difference in cost or apply it to your debt, and you will soon see an improvement in your financial situation. Just by doing these few simple things!